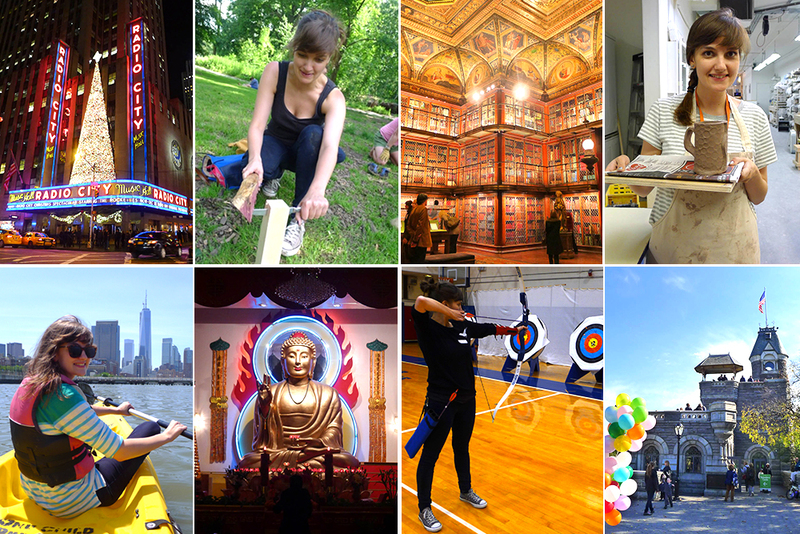 For every day in 2013, I did a new thing in New York City. It meant helicopter rides, reality TV show auditions, massive pillow fights and games of tag on Wall Street. You can check out my summary of the year here. I also wrote an article for The Daily Mail about my experience, which you can read here, and answered questions for NewYork.com here. Although I’d only planned to write this blog for a year, I quickly realized that doing 365 new things doesn’t cover a fraction of what NYC has to offer. So three years on, I’m still sharing new activities when I do them. If you have any suggestions for new things you think I should do or see, let me know! I’m a British writer/editor who worked at national dailies before moving to New York “for six months”… five years ago. I now work at CBS and live in Brooklyn with my husband Ryan and our dog Georgia, who’s the real star of this blog. I grew up in West Sussex in the south of England before stints in St. Andrews, Atlanta, Manchester and London. Since living away from the U.K., I’ve mostly missed Percy Pigs and Channel 4. I have not missed night buses.